Being in business means doing things YOUR way. You call the shots. You own your processes, operations, and equipment. By now, you’ve likely “cracked the code” one might say; because you’ve figured out how to do things better, smarter, and faster. And when it comes to running a warehouse, getting products and materials to the right place & out the door is the name of your game! After all, maximum material handling efficiency is an ongoing goal. In order optimize and increase the speed to get your product to the right place, maybe onto a truck and out for delivery, you may develop mission critical needs that don’t work “with off the rack” traditional pallets designed to suit general applications – you need a custom plastic pallet. And the plastic pallet experts at One Way Solutions are here to help. Why Partner With One Way for Your Custom Plastic Pallet? The answer is simple; it’s a no-brainer. One Way offers *free* pallet design services. 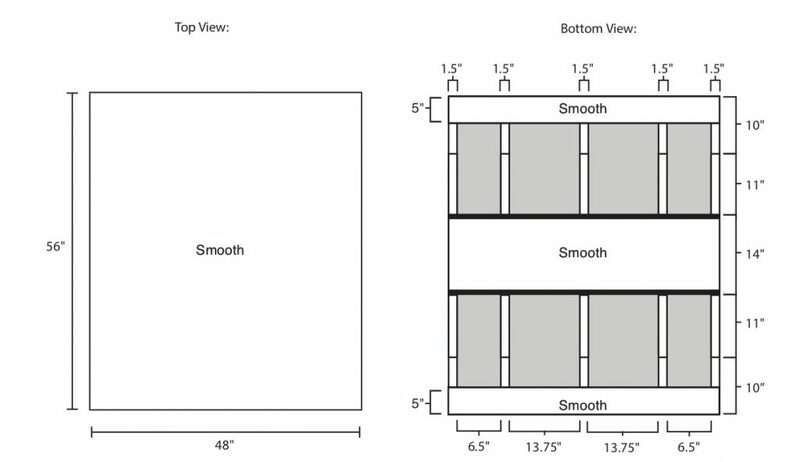 We’ll sketch up the perfect pallet for your operations and you’re under no obligation to order. We’ll provide a drawing like this one, that details the pallet structure with dimensions and weights. You’ll be able to envision exactly how this custom plastic pallet will suit your critical applications. Based on your feedback, we’ll tweak the specifications to make it fit just right, and send you a revised drawing. Here’s another cool think about working with us on your custom plastic pallet. We don’t require any mold or tooling investment. That’s money back in your pocket! Whoa! Since no custom injection mold is required, our custom pallets are available in a comparatively short and industry-shattering 10 day lead time. We’ll provide you a personalized quote for your custom plastic pallet at no charge. Our goal is make the entire process quick, painless, and pleasant for everyone – because we are plastic pallet experts that are willing to go to the mat for our customers so you’ll honor us with your business on future pallet supply projects. What Does a Custom Plastic Pallet Look Like? Let’s paint a picture of your perfect pallet, constructed from carefully chosen components that match your critical application. Smooth or rough surface options for all boards and decks. 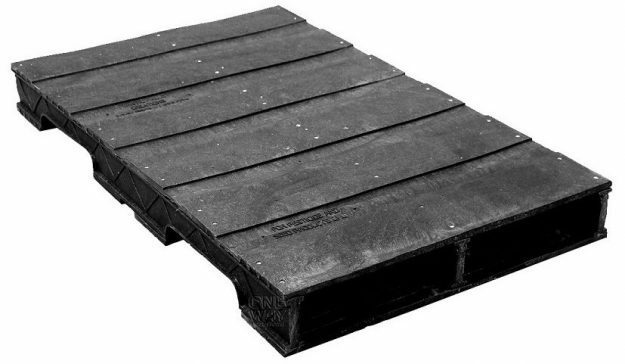 Here are examples of our stock plastic block pallets to demonstrate how pallet components can be configured for your unique needs: https://oneway-solutions.com/shop-plastic-pallets/custom-plastic-pallets. Can I place a sample custom pallet order for testing? Yes, absolutely! We accept smaller quantity custom pallet orders without a setup fee – so you only pay for pallets and shipping. Interested In Custom Plastic Pallets? Are you facing a continuous challenge in your warehouse? Can a custom pallet could work for you? We make it easy to find out. We’re here to help meet unique challenges in your warehouse so you can handle your operations more efficiently. Our Plastic Pallet Experts are happy to help you create the right plastic Custom Plastic Pallet and send you a quote. Please contact us for a free quote and drawing for your perfect custom plastic pallet. We’d love to hear from you – please let us know how custom built pallets have helped you overcome operational challenges in your warehouse.